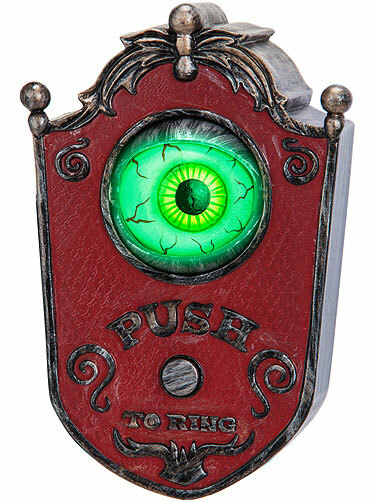 Greet Halloween visitors with this Animated Eyeball Doorbell. When activated, a door bell sound rings, the eye shutters open to reveal a lighted green eye. Eye moves side to side as it says 4 creepy phrases including "Enter At Your Own Risk", and "Welcome." Push button to activate. Uses 3 AA batteries. 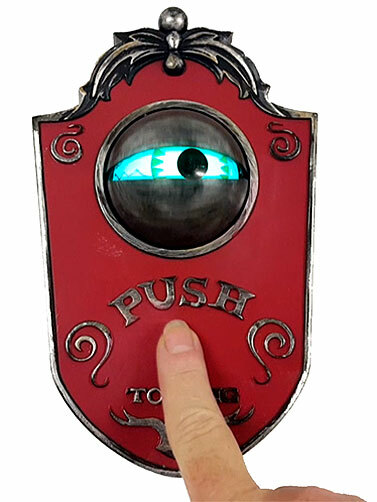 Animated Eyeball Doorbell measures 7"H x 4.25"W.